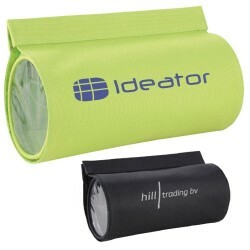 Our innovative branded travel accessories make great corporate gifts for clients. 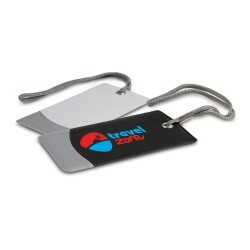 Be there to share adventures with these promotional travel accessories personalised with your brand name or logo. 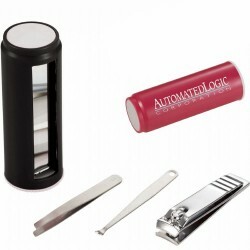 Promotional Product Experts has got all sorts of travel products for you to choose from including branded folding toothbrushes, pillboxes and compact mirrors and manicure sets. For out of state conferences and tradeshows, you might want to consider eye masks, ear buds and inflatable pillows, as business gifts to attendees. For more promotional suggestions, contact our sales team and we will be happy to assist you. At Promotional Product Experts, you will find a variety of choices all able to be custom printed with your brand name, logo or advertising message. For more details, click on the images below or contact our sales team. 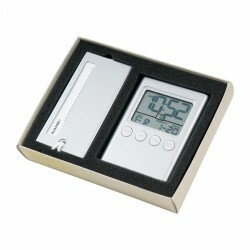 Includes; luggage tag, travel lock and air travel luggage scale packed into gift box. 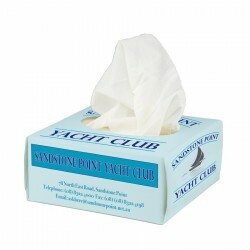 Promotional pocket tissue box, 256gsm silk matt packaging, with all over, full colour digital printing. These printed pocket tissue boxes are the ideal personal care promo giveaway, with great print area and colour for maximum exposure of your logo. 10 tissues per pack. Promotional sleeping eye masks are the perfect size and weight for direct mail campaigns and will show your customers that you appreciate their health and wellbeing. These printed satin eye masks are made from a lightweight, satin fabric. 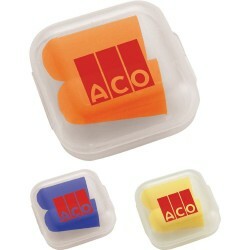 Additional colour options available indent, minimum order quantity 2500 pcs. Everything you need for a relaxed and comfortable travel experience. Each pack contains inflatable travel neck pillow with matching carry pouch, nylon eye mask and foam earplugs. 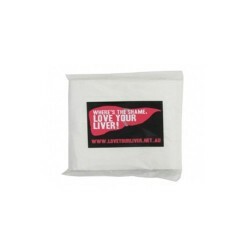 Printing available on pillow, pouch and eye mask. Additional colour options available indent, minimum order quantity 2500 pcs. 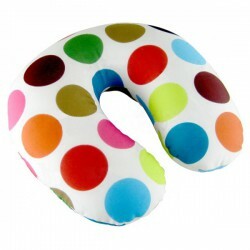 Printed inflatable travel neck pillow, the perfect travelling accessory. Velour (flocked pvc) fabric. Each promotional neck pillow is individually poly bagged for your convenience. Additional colour options available indent, minimum order quantity 2500 pcs. 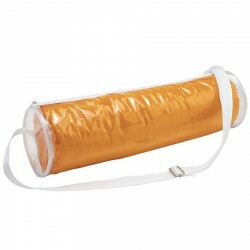 Inflatable promotional travel neck pillow, the perfect travelling companion. 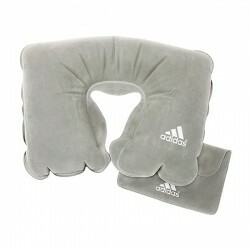 Each branded neck pillow is made from velour fabric (flocked pvc) with matching carry pouch. Printing available on pillow or pouch as standard. 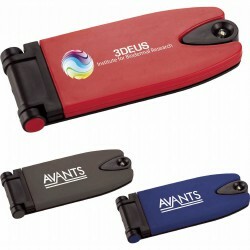 Additional colour options available indent, minimum order quantity 2500 pcs. 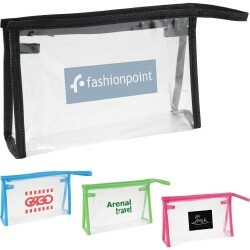 Handy size printed vinyl pouch with keyring strap that attaches inside the pouch, keeping keys secure. 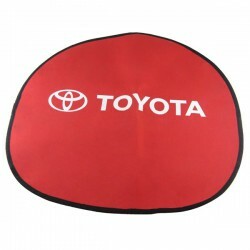 This promotional coin purse is also great for promo kits, coins, id cards and more. 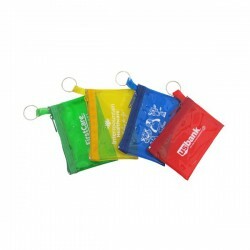 These promotional key pouches are available in four bright translucent colours with matching zippers and trim. Tempered steel split ring with nylon zipper. 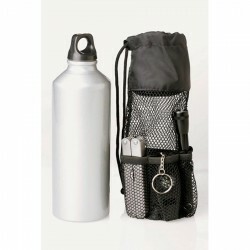 Everything you'll need for your next outdoor adventure is included in this quality set. Featuring all-metal robust binoculars (8 x 21 magnification), 7 function pocket knife, aluminium torch, compass and rain poncho all packed together in a tough nylon pouch with belt clip. Battery included. Printed eye masks are the perfect, lightweight gift for travel, hotel or relaxation themed events. Promotional eye masks are also great for direct mail campaigns, tradeshows and as a gift with purchase. Lightweight, Nylon fabric. 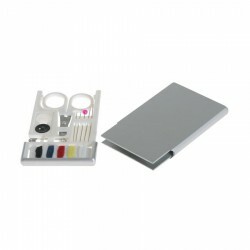 Additional colour options available indent, minimum order quantity 2500 pcs. 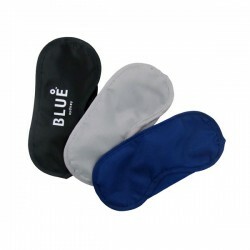 Relax while travelling with this soft nylon eye mask and foam earplug set, in a clear PVC carrying pouch. 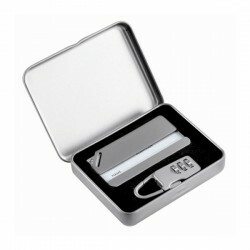 Crystal clear, handy sized custom vinyl pouch and keyring strap that attaches inside the pouch, keeping keys secure. 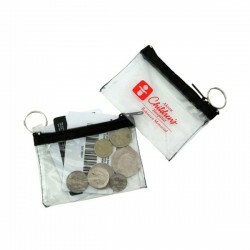 This custom key pouch is also great for coins, promo kits, id cards and more. These custom coin purses are available in clear with black trim. Custom eye masks are an excellent, lightweight gift for travel, hotel or relaxation themed events. 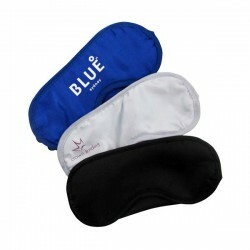 Promotional sleep masks are also great for direct mail campaigns, tradeshows, and as a gift with purchase. Lightweight, cotton fabric. 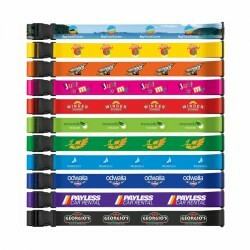 Additional colour options available indent, minimum order quantity 2500 pcs. A frosty, pearl white promotional key pouch accented in a range of brightly coloured nylon bands with a tempered spring-steel split ring attached. 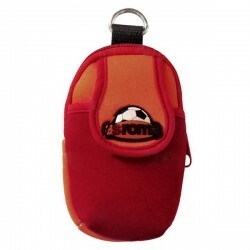 Keyring strap attaches inside the pouch, keeping keys and contents secure. 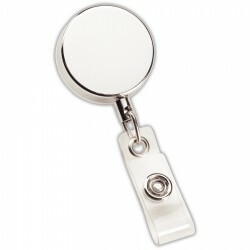 This custom key pouch is also great for coins, promo kits, id cards and more. Nylon zipper. A frosty, pearl white promotional cosmetic bag accented in a range of brightly coloured nylon bands. With a slim design and made from water resistant vinyl, this large printed cosmetic tote is perfect as a cosmetic or toiletry bag, pencil case or travel bag. 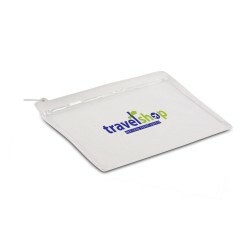 Zip-top resealable pouch for TSA-friendly travel. 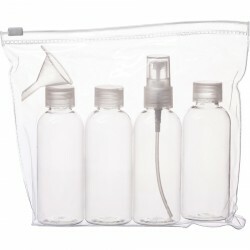 Includes three 80mL refillable bottles, one 80mL refillable spray bottle and mini funnel. Bottles not available for imprint. Zippered pouch with open-top front pocket. Includes 2 soft foam earplugs, black eye mask and inflatable soft-touch neck pillow. Personal amenity travel roll. 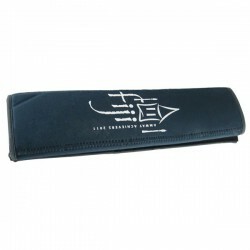 Case includes removable zippered amenity pouch, inner zippered side pocket and 3 sleeves for personal items. 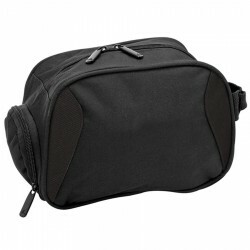 Double snap closure keeps items secure during travel. Accessories not included. Zippered personal amenity pouch with Colour trim. 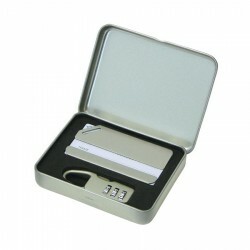 Smart designed anodised steel multi function alarm clock and luggage tag set. Gift boxed. 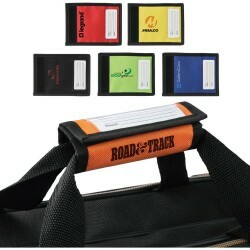 Neoprene camera cases with zipper enclosure & nylon belt attachment strap. Designer tablet computer stand, including touch screen pen and travel pouch. 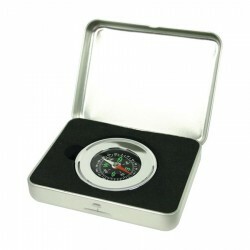 Branding options include a printed logo, small epoxy dome or large epoxy dome covering the full front case. Never pay extra again for (too) heavy luggage. 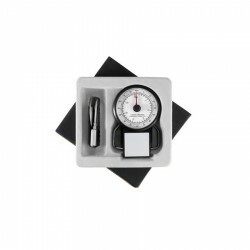 Simply connect the weight lifter to your suitcase and measure the weight before you're off to the airport! Measures up to 40 Kgs. Includes 1 x button cell battery. 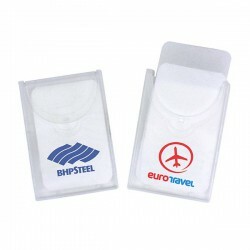 ECO PVC passport holder. Why ECO? Because the PVC is without any plasticisers. 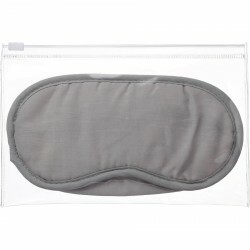 The perfect travel mate in clear plastic zip pouch with contrast stitching and a large black PU patch Features: Comfort travel set includes neck pillow, eye mask, and ear plugs. Small but effective rechargable light. Just pull the string to recharge (1 minute supplies 10 minutes of power). 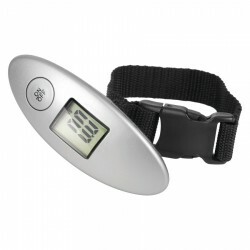 Includes rechargeable Li-on battery. Small but bright book reader with white LED light. Easy to clip on. Includes 3 x button cell batteries. Silver badge, Internal zippered pocket, Check fabric interior. Highly reflective mirror reveals company names, as well as any movement from behind. Attached to most surfaces with hook and loop tape. Superior Microfibre lens cloth with zig zag cut edges (straight edges also available at same price). Excellent for oil and perspiration absorption. 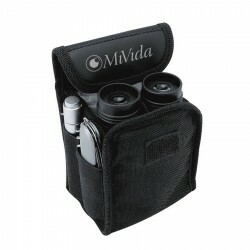 Suitable for sunglasses, eyeglasses, pda's, smart phones, e-book readers, camera lens, monitors, collectables and tablets. 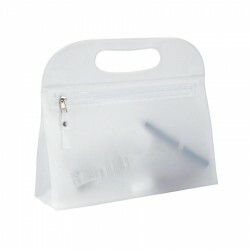 Additional clear pvc pouch with press stud available at extra cost. 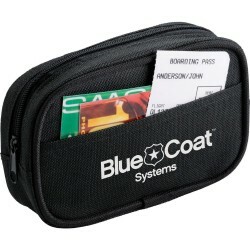 Convenient folding case fits in purse, glove box, wetpack, suitcase or pocket. 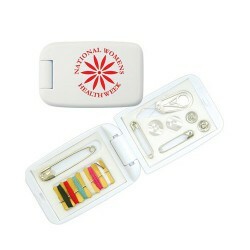 Includes six cotton threads, three safety pins, two buttons, two studs, needle threader and needle. Clear PVC cylinder. Ideally suited for the M100 Terry Velour Towel. Single zipper main compartment. White adjustable carry strap with piping. Perfect for custom packing. Translucent white PVC. Zippered main compartment. Top carry handle. 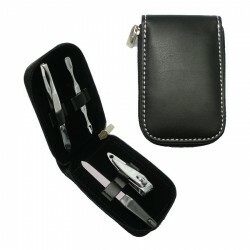 Compact take anywhere sewing kit with all you need for on the spot repairs. Boxed. 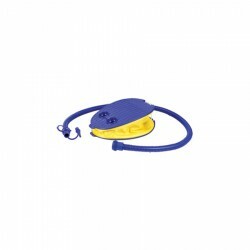 Superior Hi microfibre eye/sunglasses pullstring pouch with adjustable polyester cord and tab adjuster. 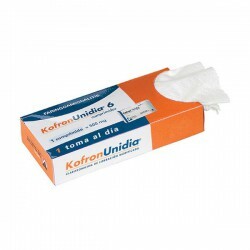 Suitable for cleaning sensitive surfaces, leness and screens. Superior Hi microfibre overlocked hand towel / duster. Suitable for cleaning sensitive surfaces, lenses and dusting.